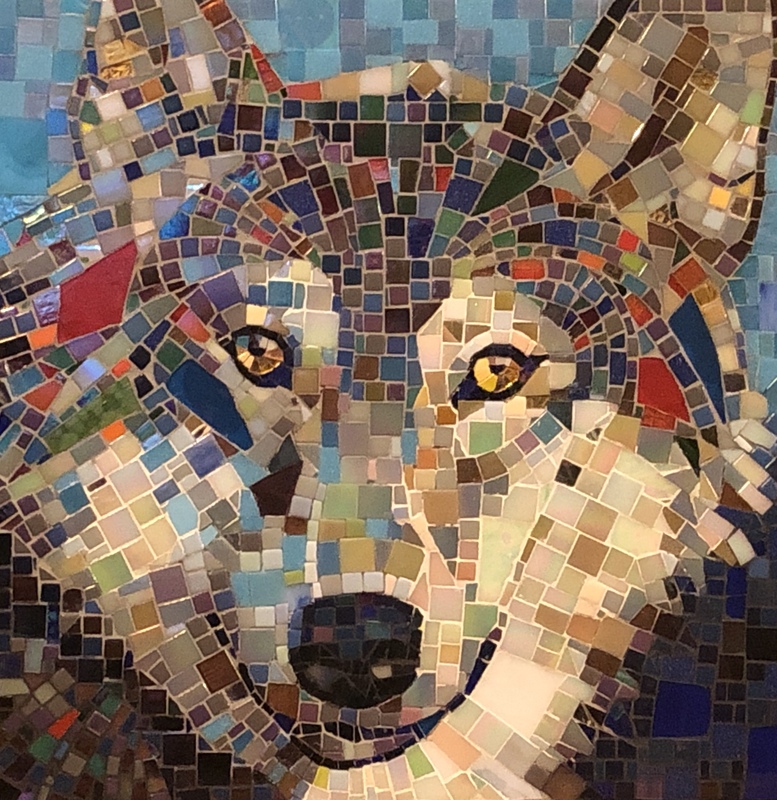 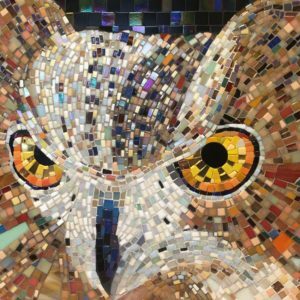 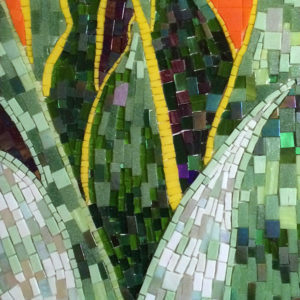 This colorful piece combines vivid iridescent tiles and found glass to show the intensity of a wolf’s gaze. It will be exhibiting and will be available for purchase in August 2019. 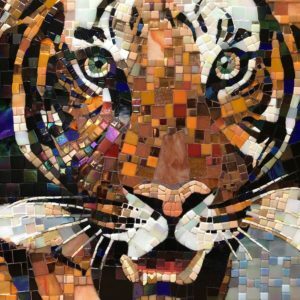 18″x18″. 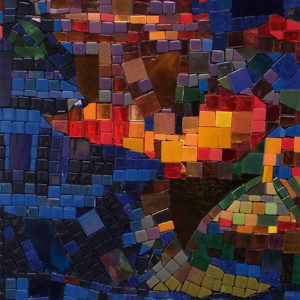 This piece is based with gratitude on a photograph by Gary Kramer, and used with a Creative Commons license.